Built in 1163 for some history. Absolutely awful. A treasured piece of human history will be all but gone. 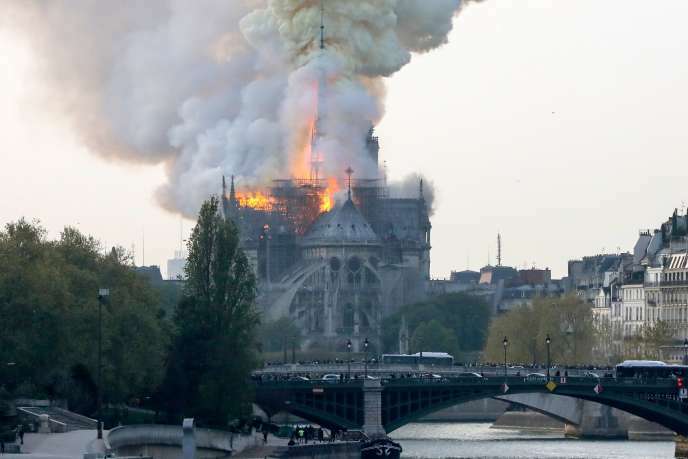 Would they try and rebuild the cathedral if it completely burns? On Wikipedia the page said 'Spires: Soon to fall' on the side bar page. With your luck, they will decide to sign a bunch of veterans in a misguided attempt to make the playoffs with the cathedral that is left over. Blueprints would be enough to rebuild the structure, as like with Warsaw's "Old Town" after 1945. Presumably the priority now is saving the invaluable artwork on the ground floor and 2nd floor? Started in 1160 and completed in 1260? Numerous other multi year and multi decade restorations and renovations. I checked wiki and it said started in 60, but ground broke in 63. Yeah it took like 200 years to finish. As part of the renovation of the building, sixteen copper statues were unhooked and descended from the cathedral, Thursday, April 11, to be restored. This is the first time that they were detached from their support since their installation in 1860 , then explained France 2. They were thus spared by the fire. Conspiracy theory built around those statues in 3...2...1. Dan Brown will write a book about it. Were Henry Hill or Tommy DeSimone seen around Paris recently?